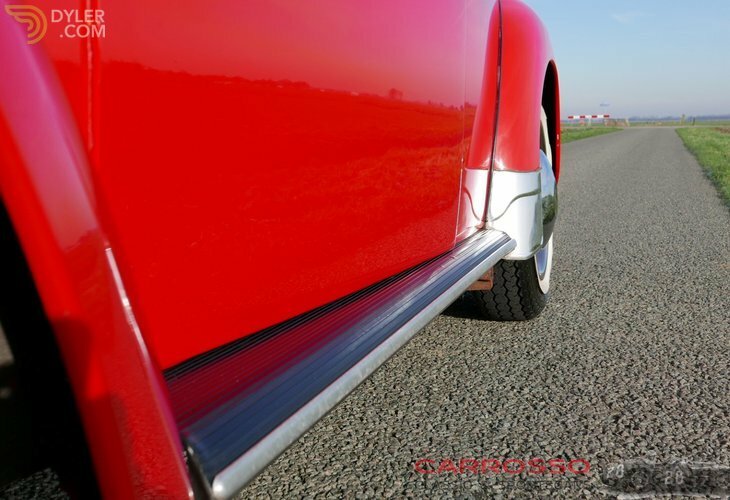 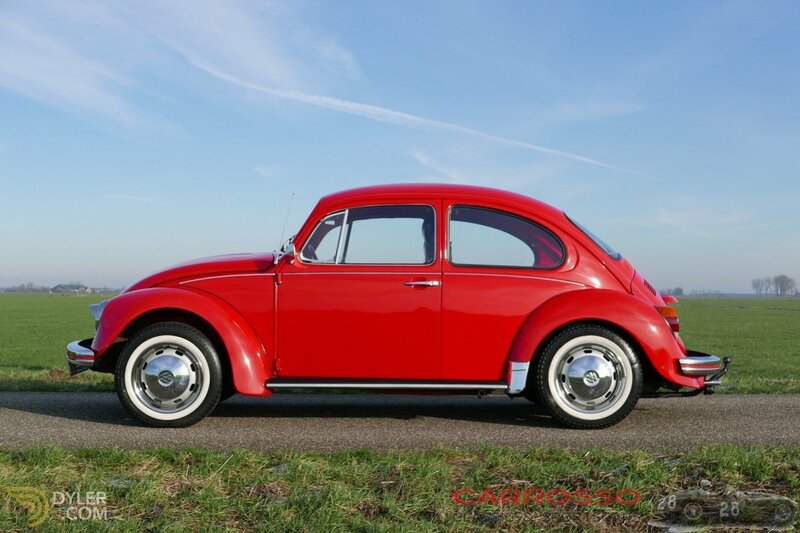 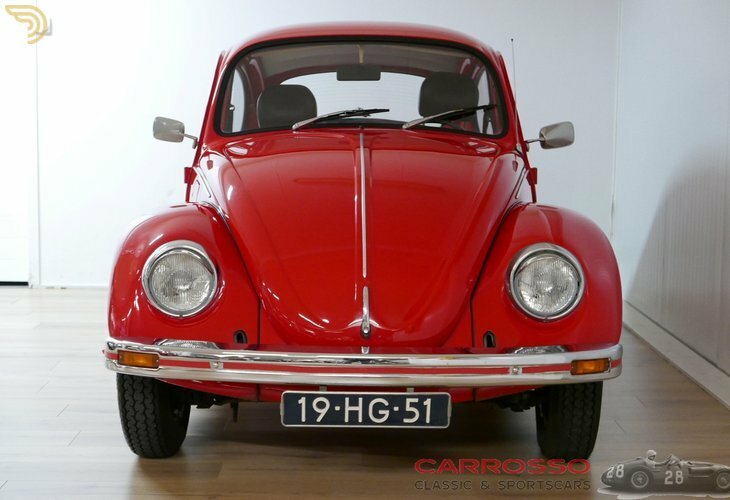 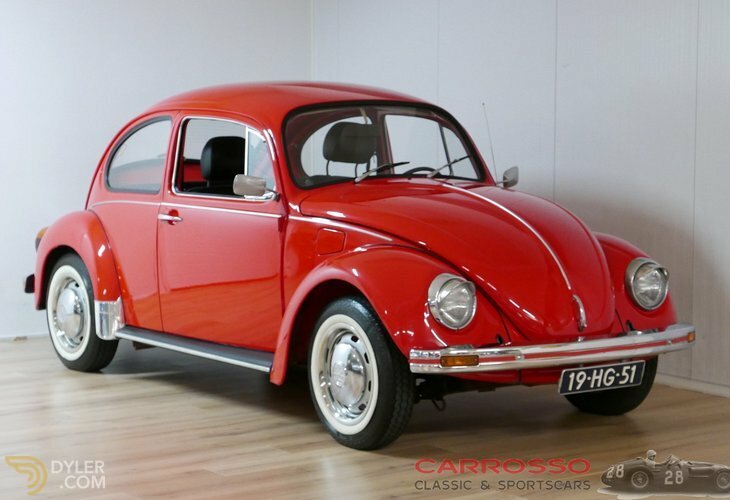 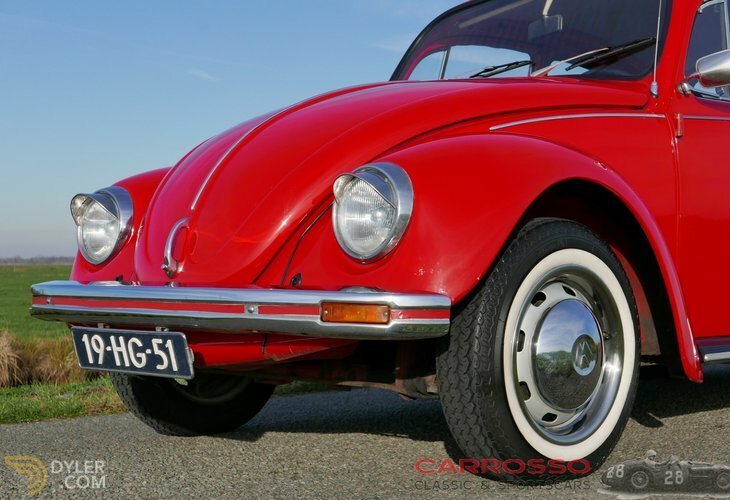 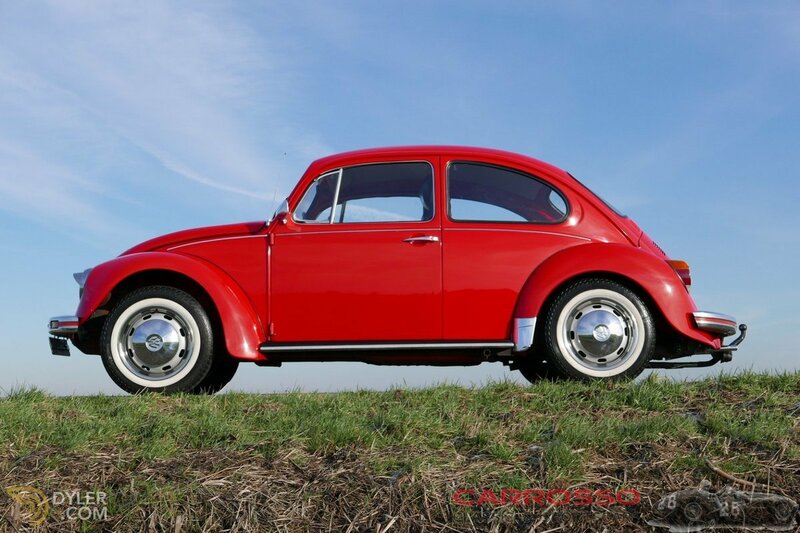 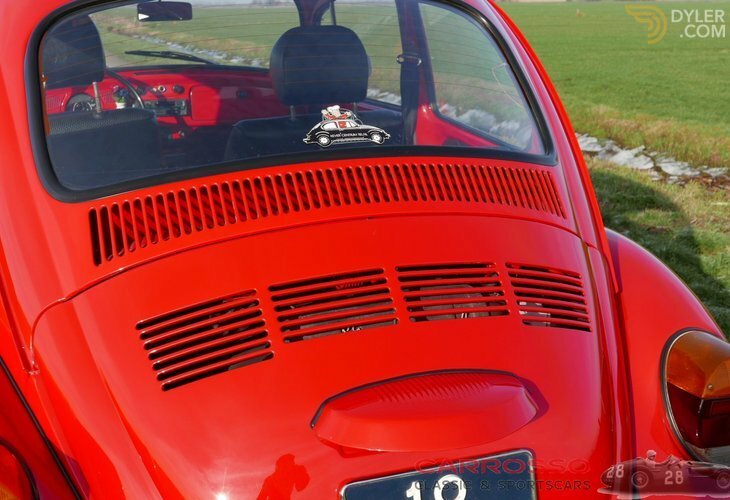 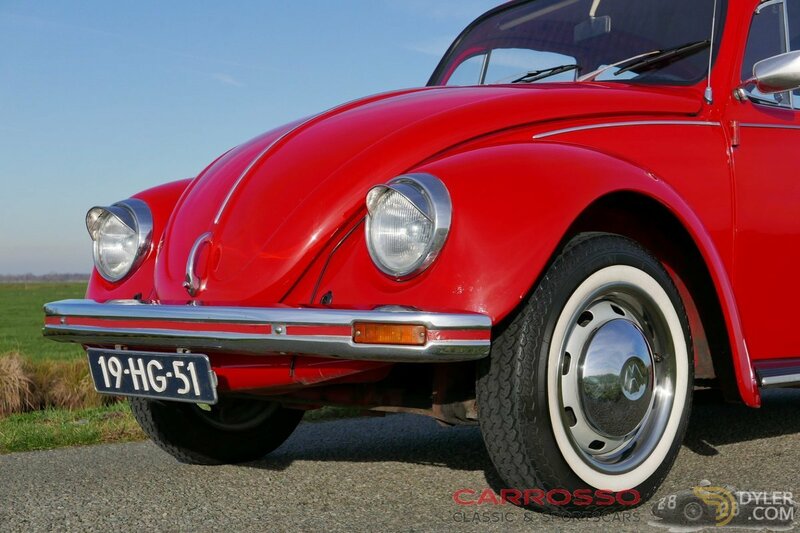 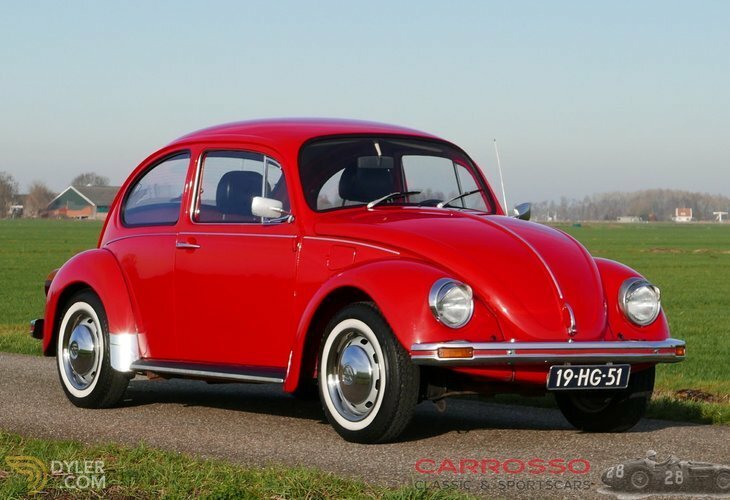 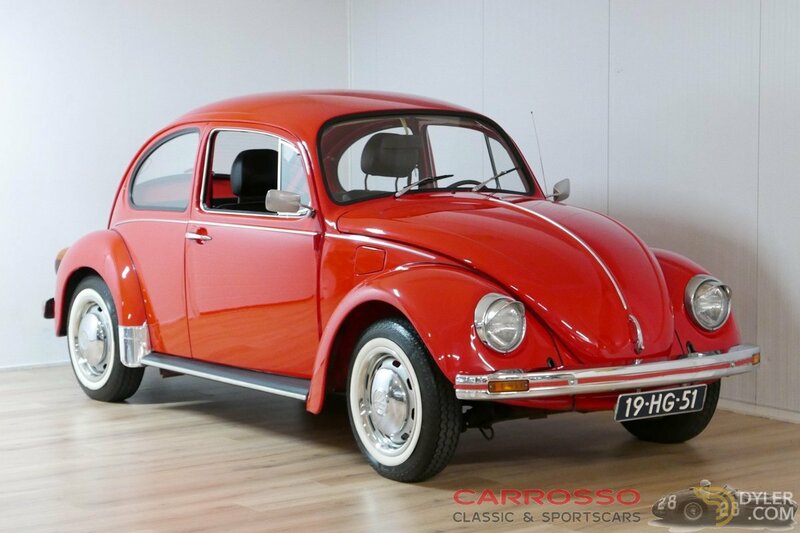 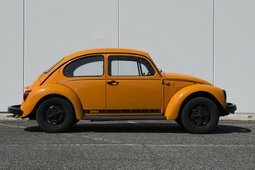 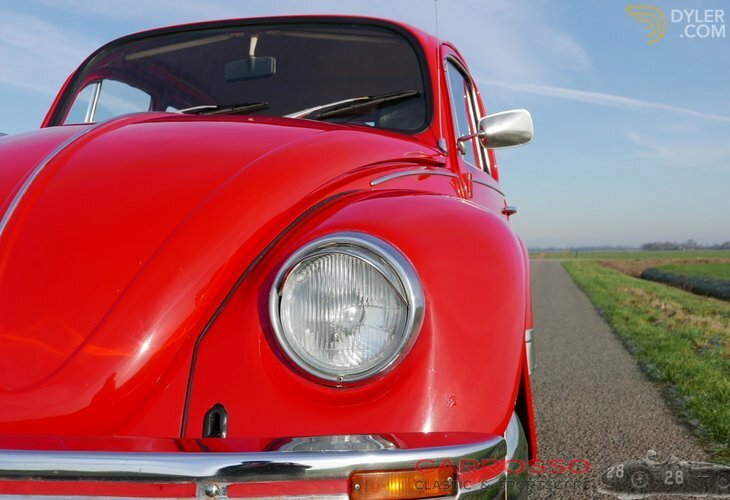 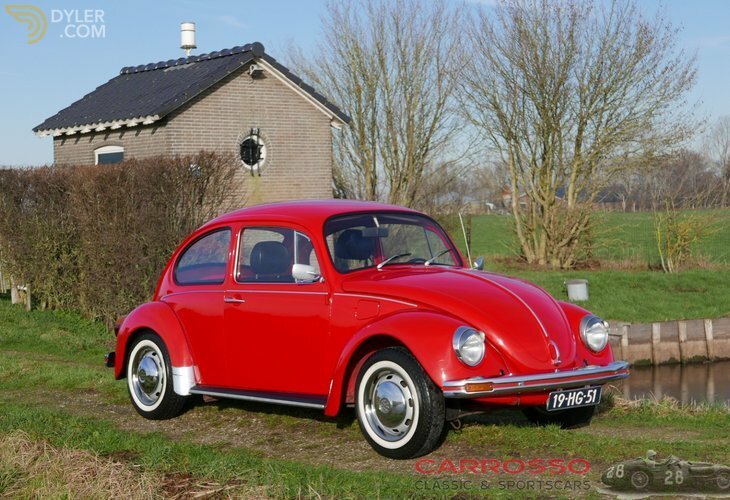 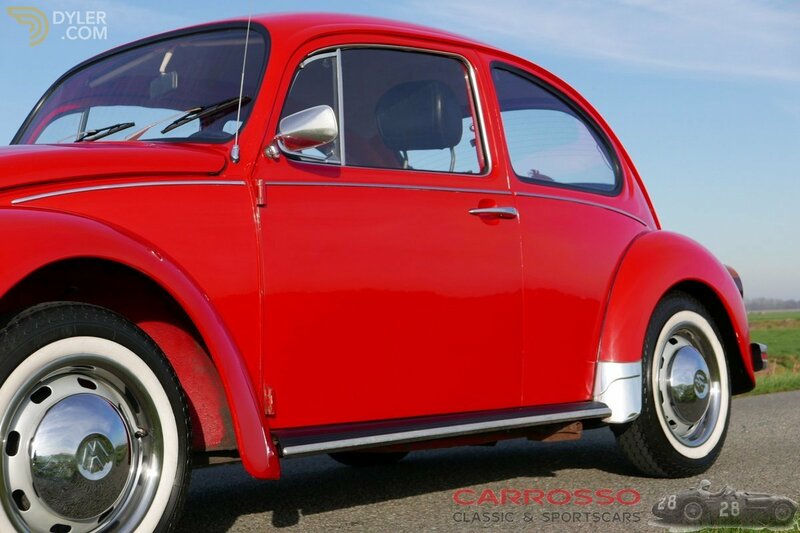 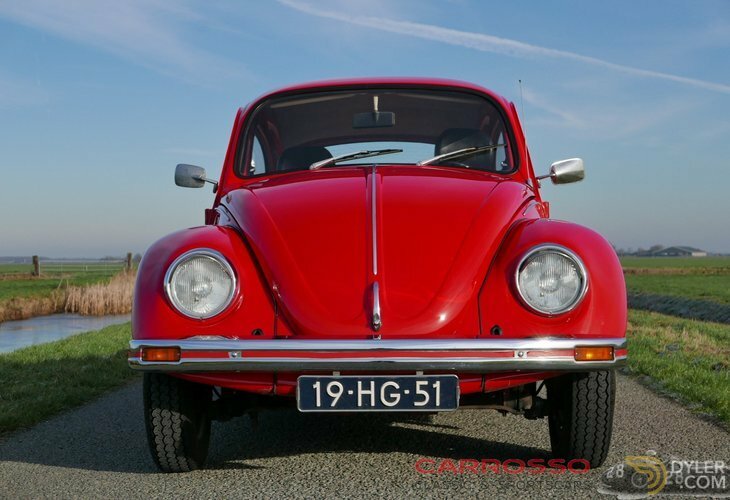 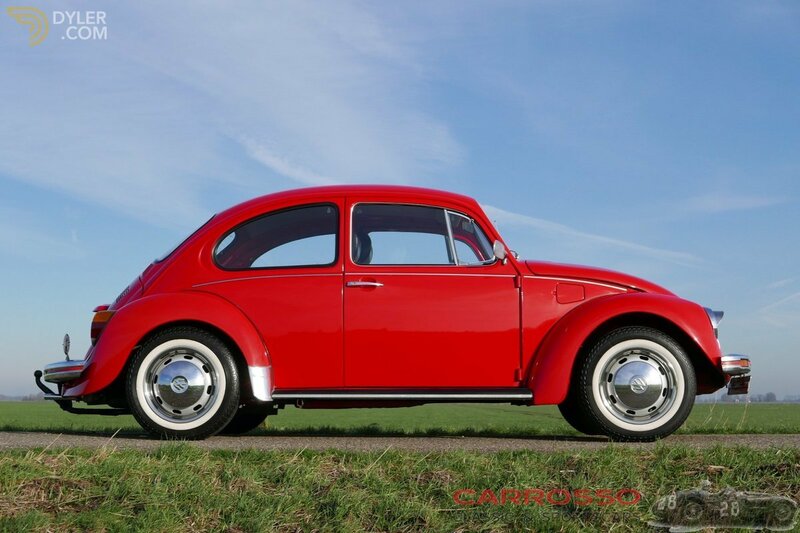 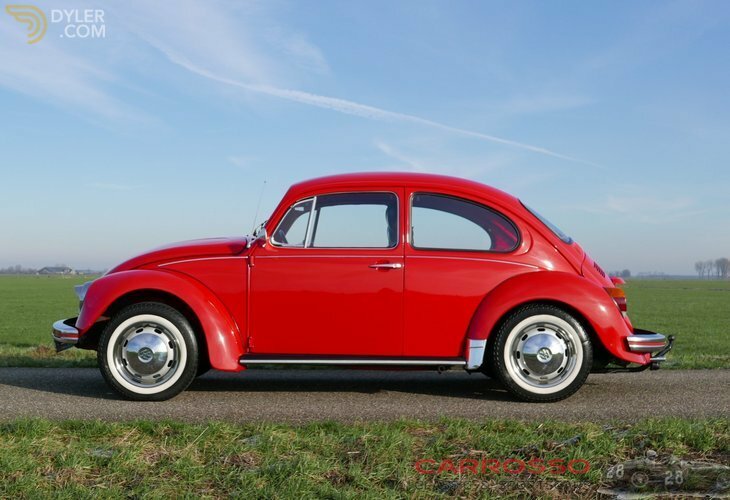 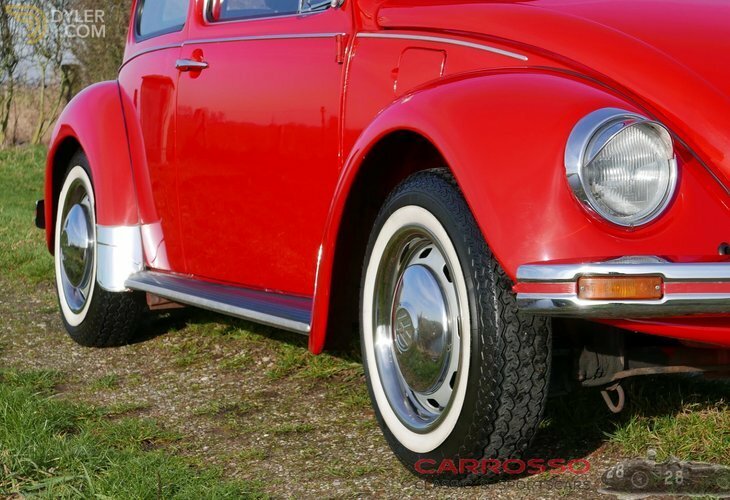 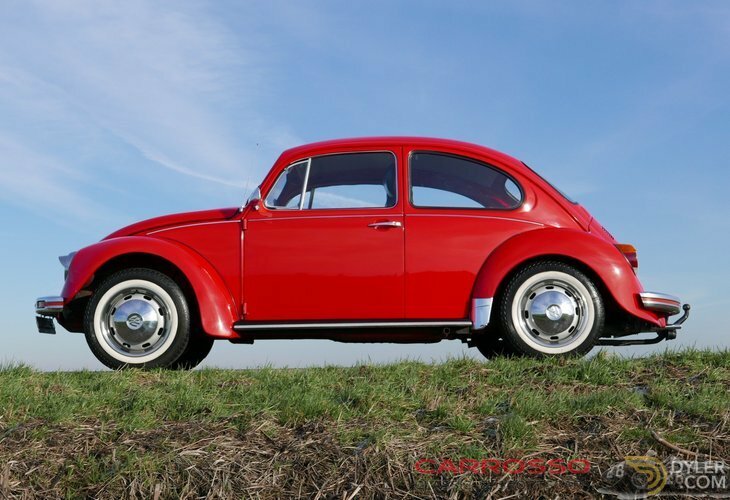 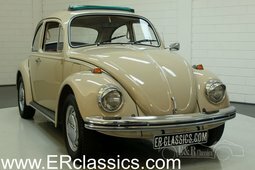 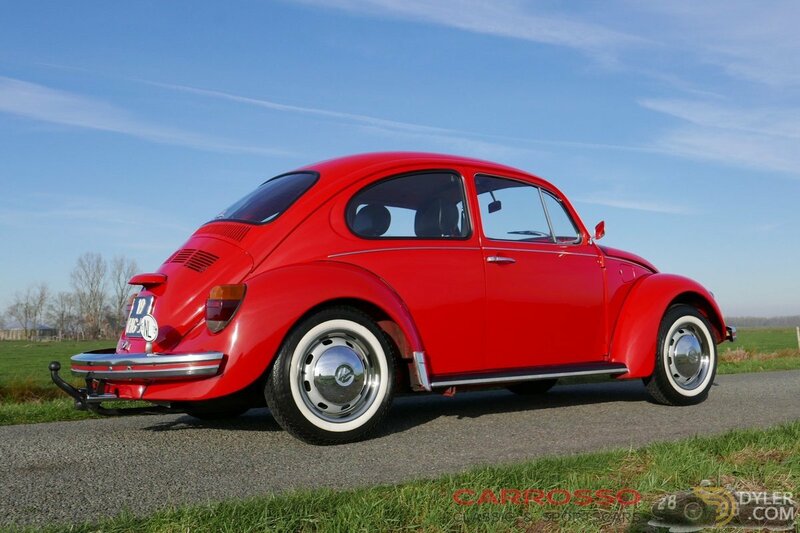 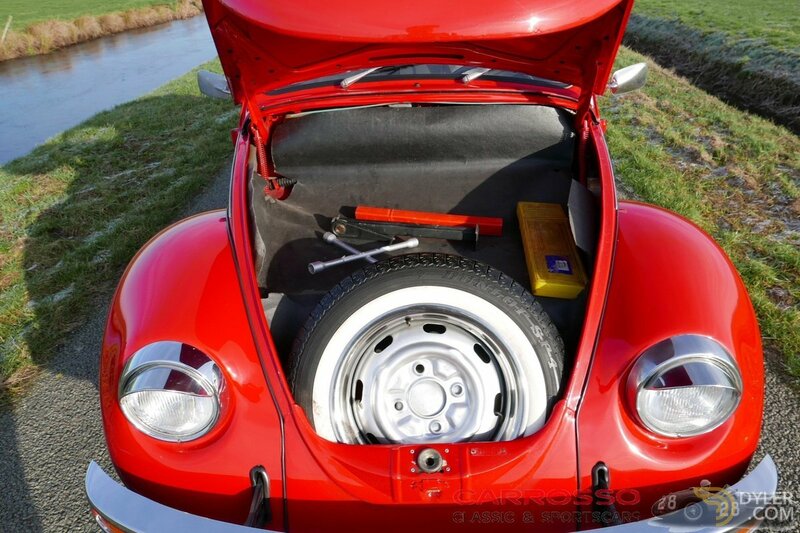 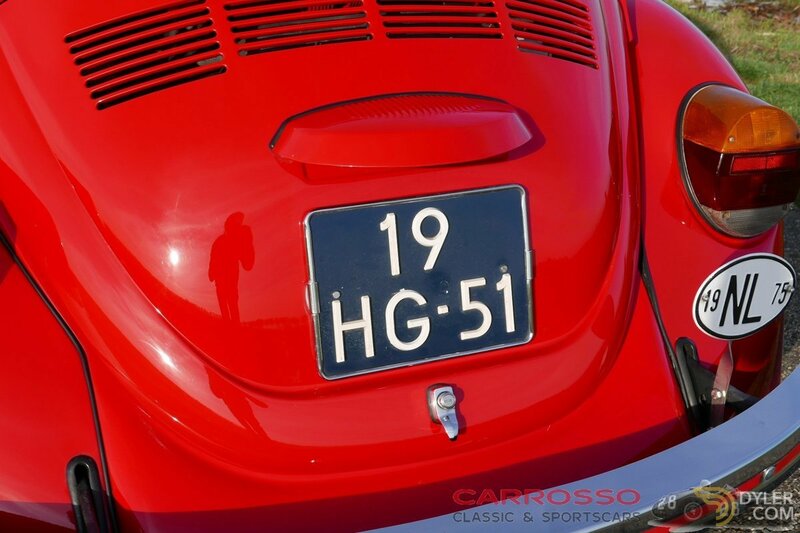 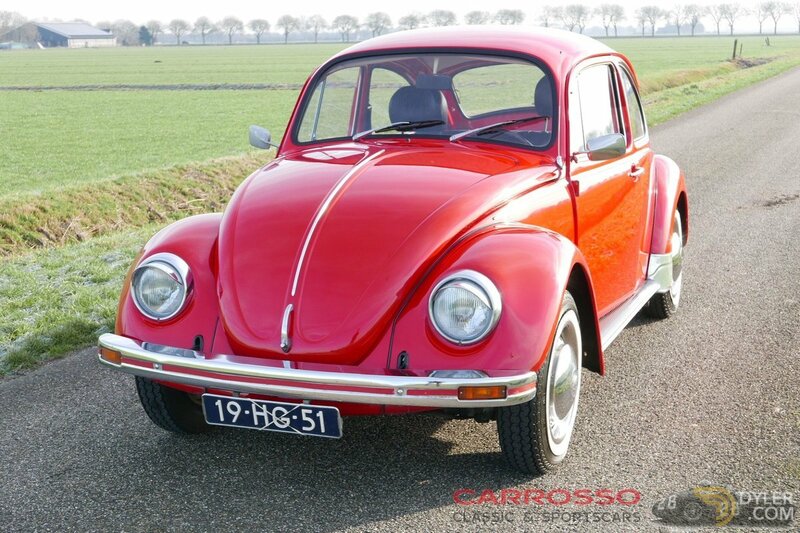 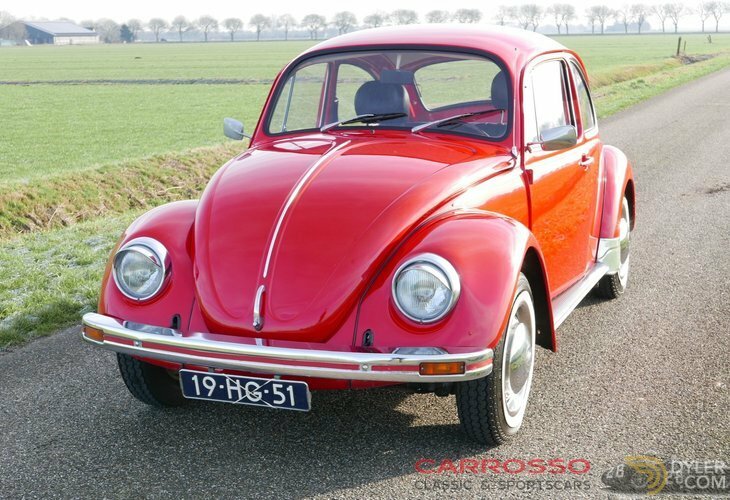 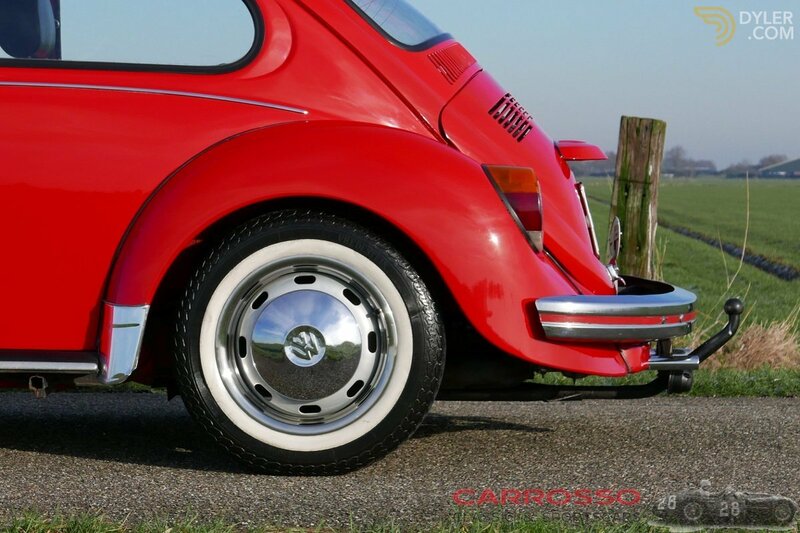 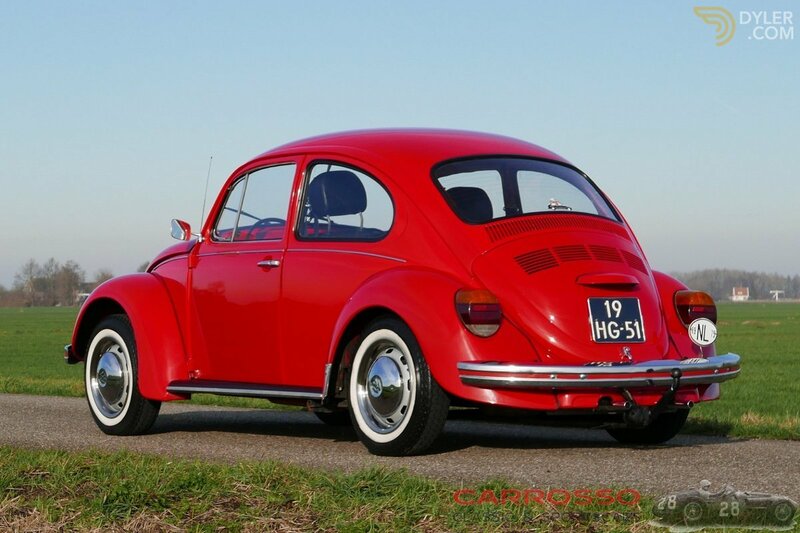 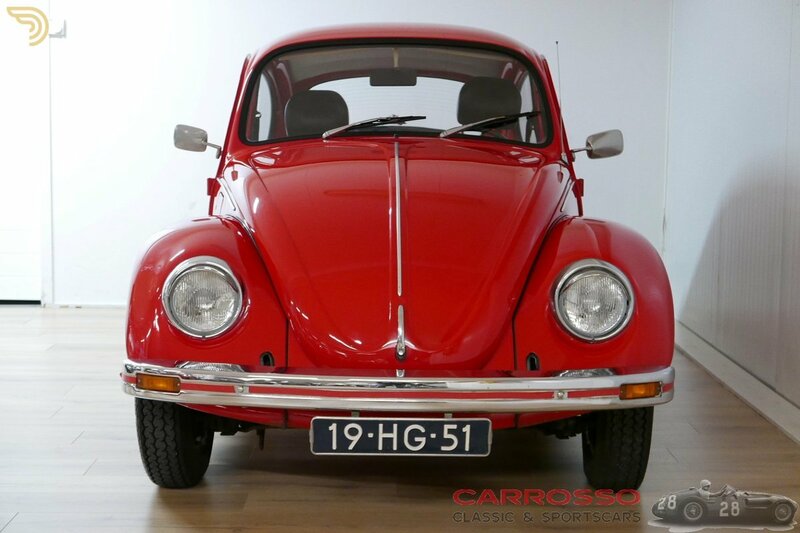 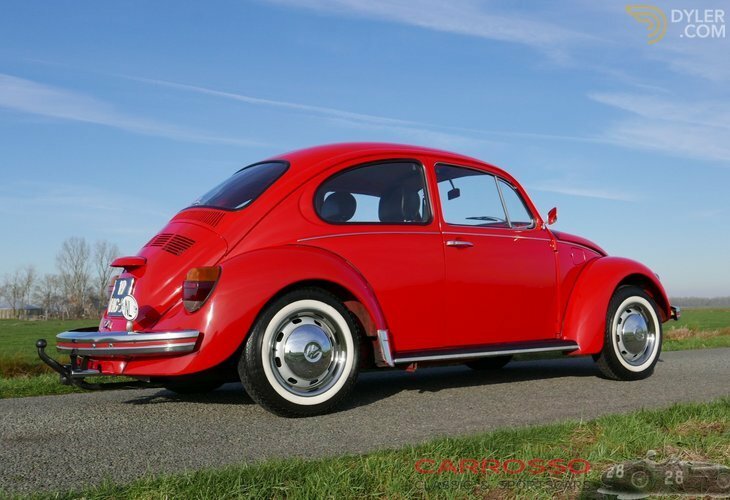 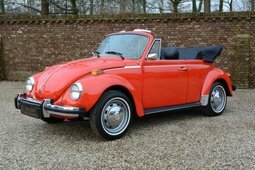 Original Dutch Volkswagen Beetle, which has been restored and is in good and good running condition. 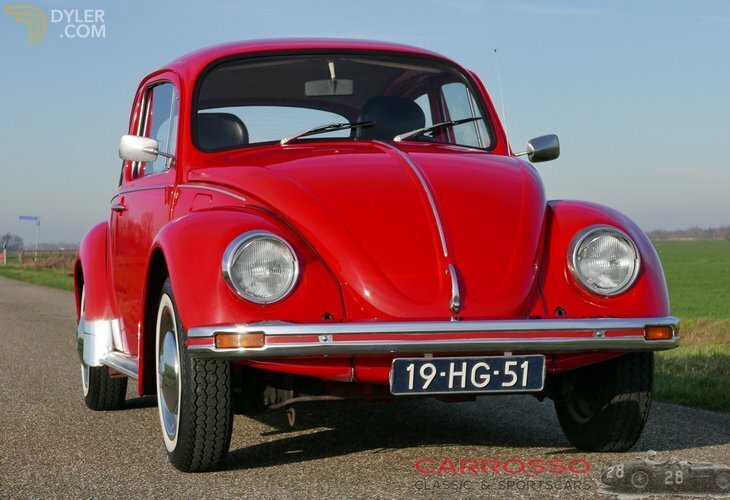 Both the exterior and the interior of the Volkswagen are still in a very good and tidy condition. 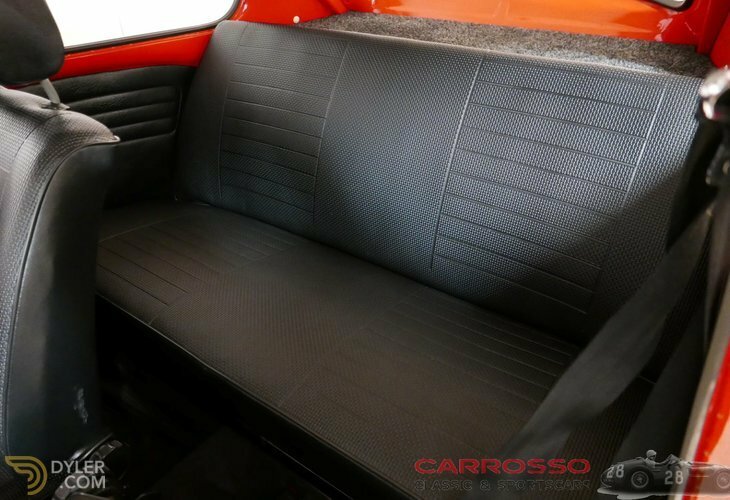 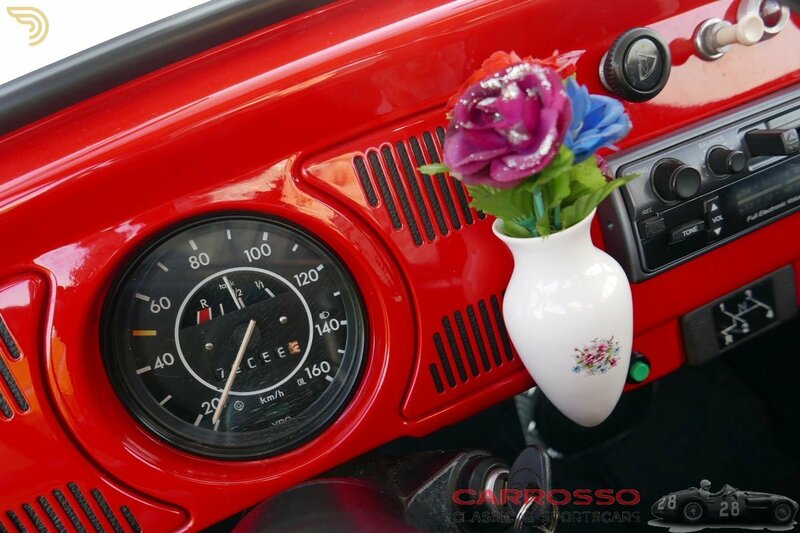 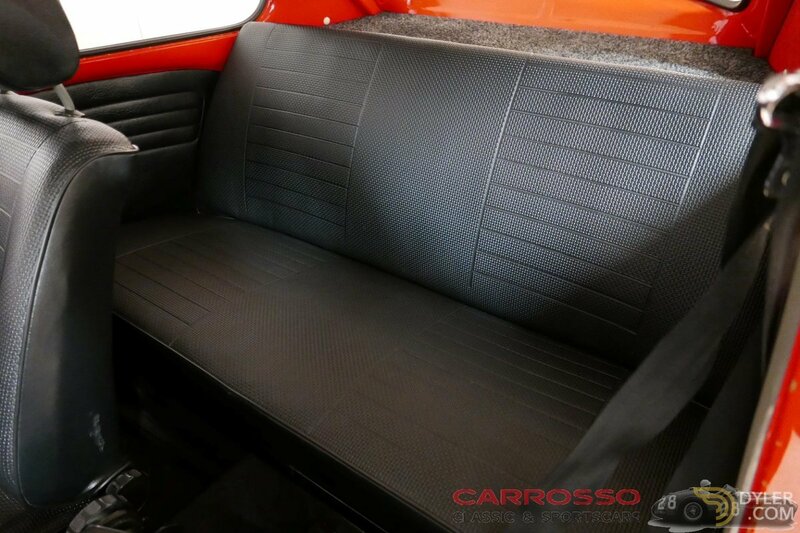 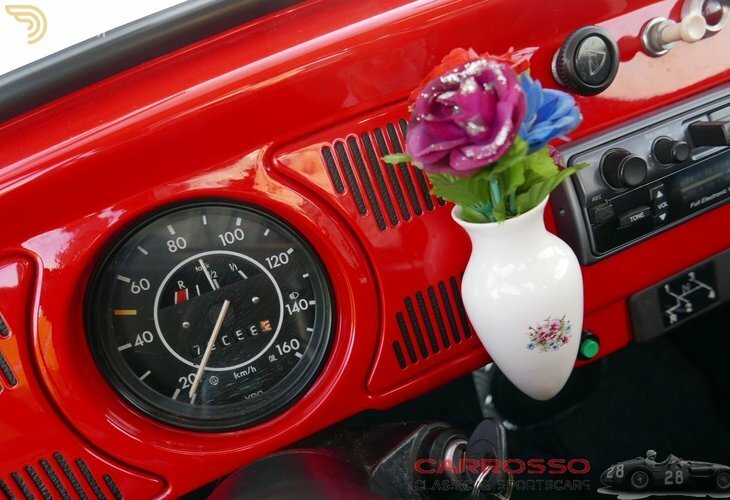 The interior is in black color which makes it a very nice and right combination with the red paint of this Volkswagen Beetle. Air-cooled 4-cylinder boxer engine with 2 valves per cylinder, which is located at the back in the longitudinal direction with the associated rear-wheel drive. 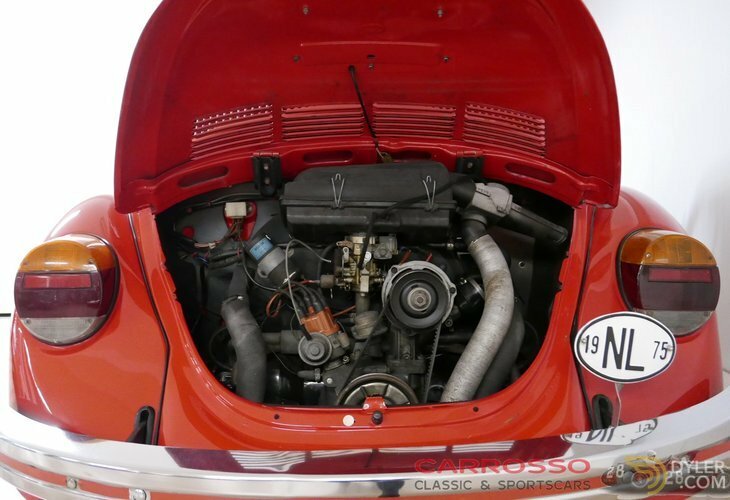 This air-cooled boxer engine is good for 34 hp and 25 kW at 3600 rpm. 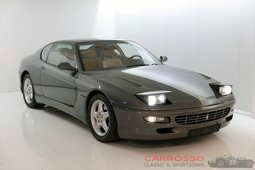 Maximum torque for this car is 82 Nm. 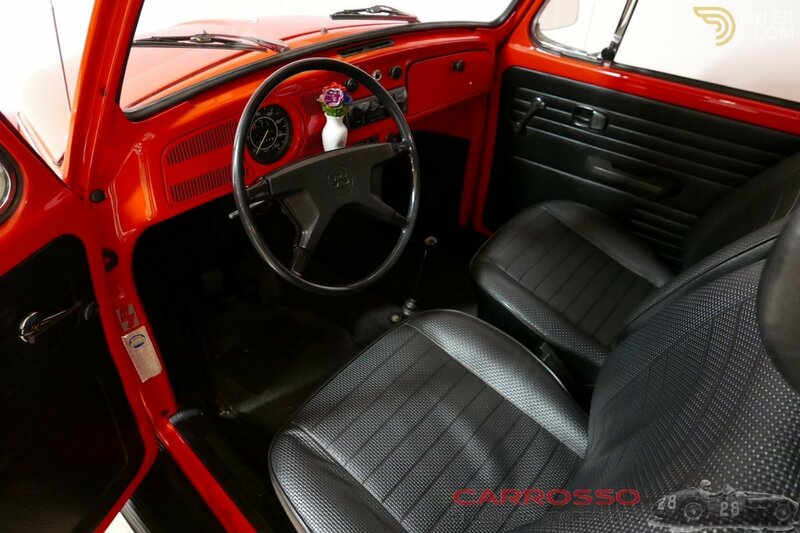 The gearbox is manual with 4 gears by means of a floor poker. 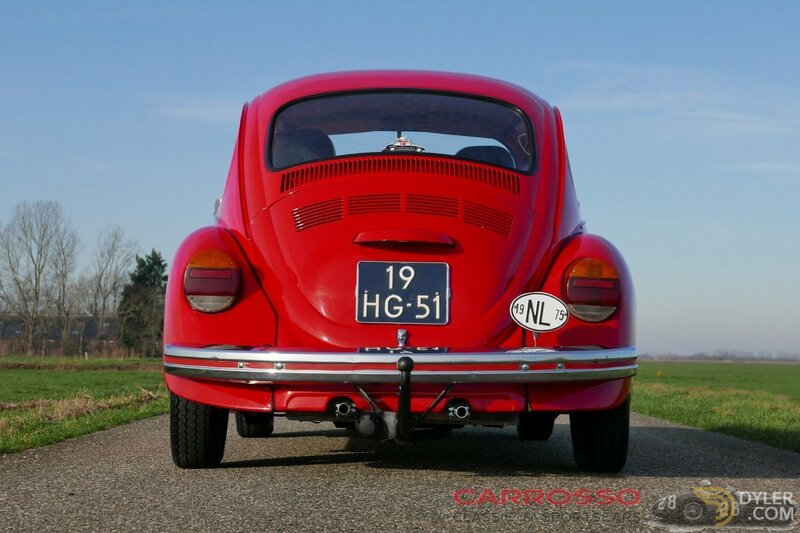 This Volkswagen also has a towbar! 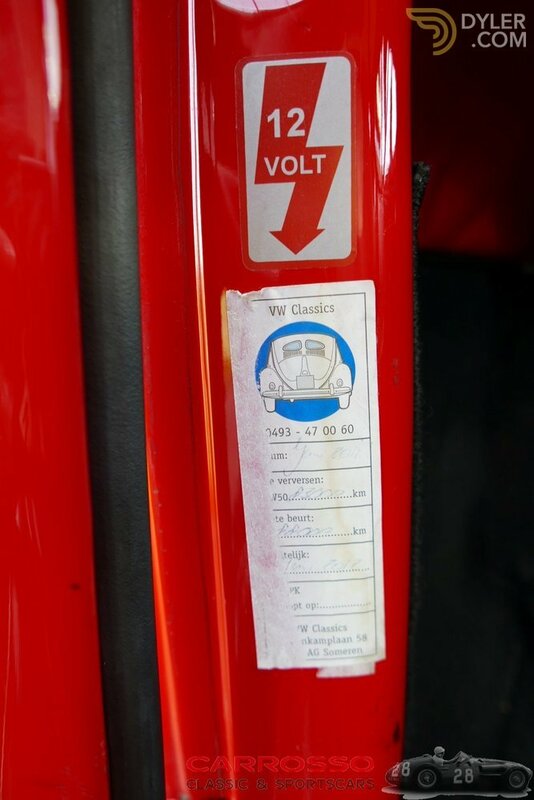 APK validity date of this car is until 26/06/2019. The Volkswagen Beetle 1200 was the folk car of the 1960s. 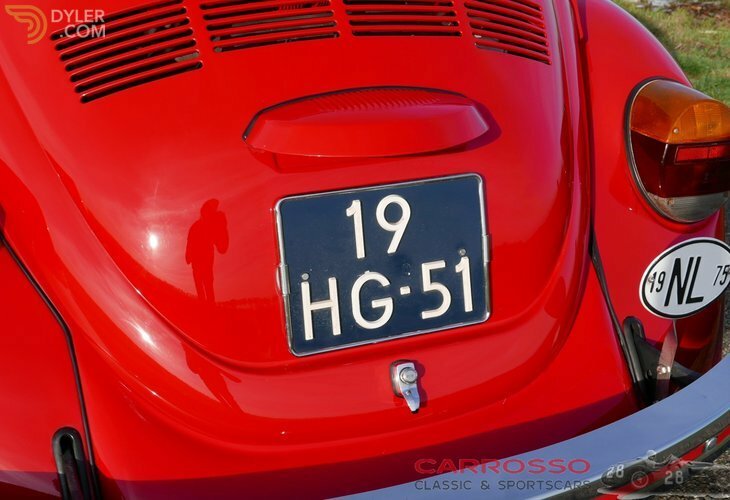 Although the pre-war design managed to sing it in Mexico until 2003, much has changed over the years. The 'spectacle beetle' and the 'oval' were relieved by a Beetle generation with a large rear window. 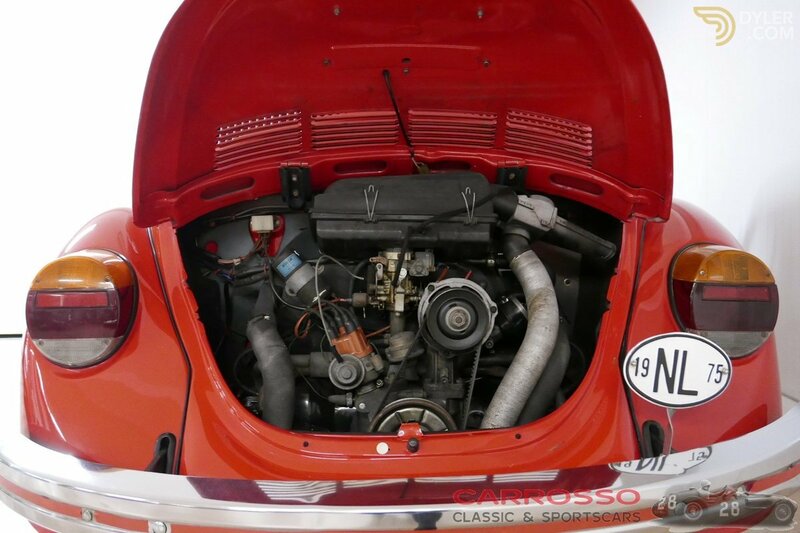 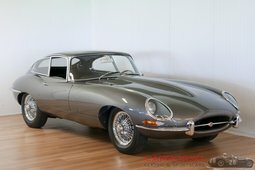 From 1960, a boxer engine with 34 hp was found at the back of the Export model. 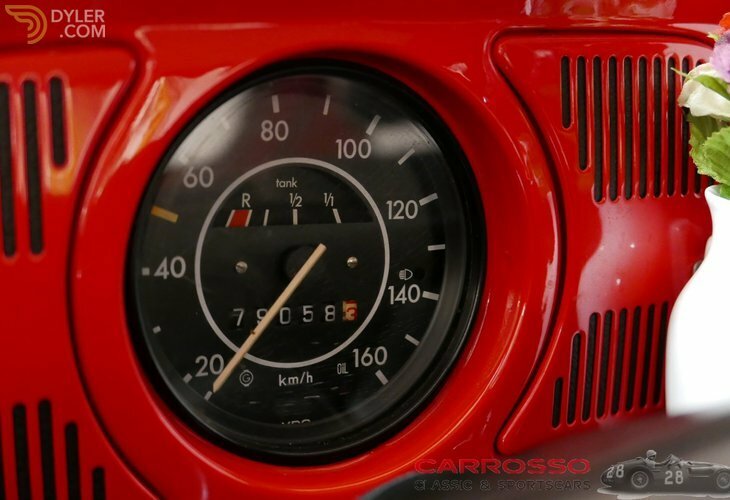 At the same time the synchronized gearbox and flashing lights made their appearance. 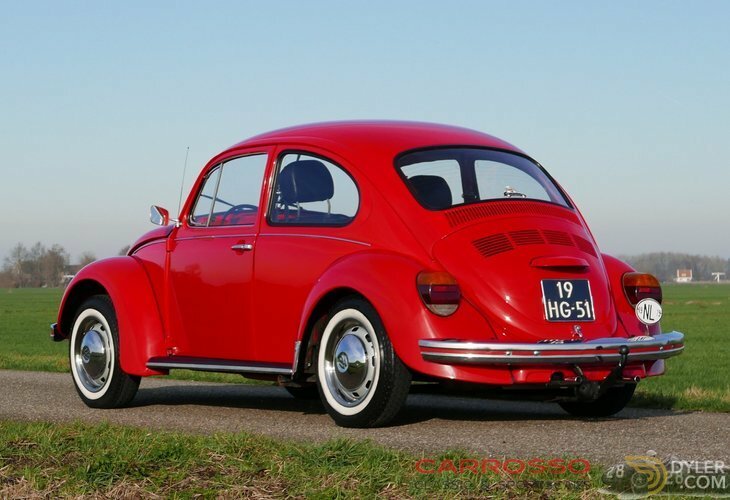 Back then the solid Beetle was very popular, now it is a cultauto whose prices are rising rapidly. 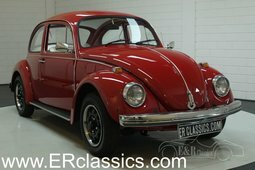 The brand name Volkswagen also does wonders with these oldies.in the Export model a boxer engine with 34 hp. 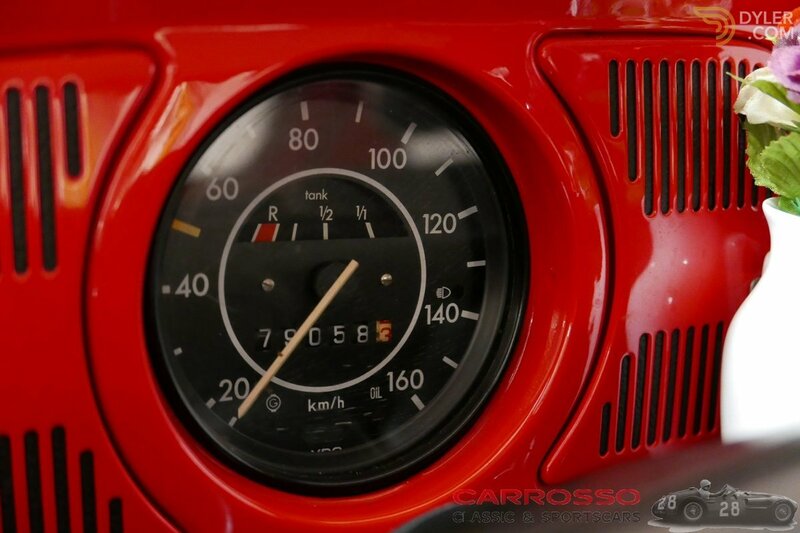 At the same time the synchronized gearbox and flashing lights made their appearance. 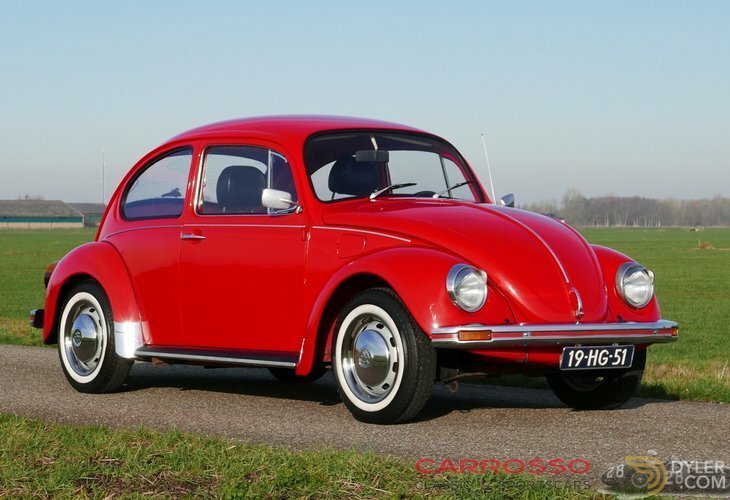 Back then the solid Beetle was very popular, now it is a cultauto whose prices are rising rapidly. 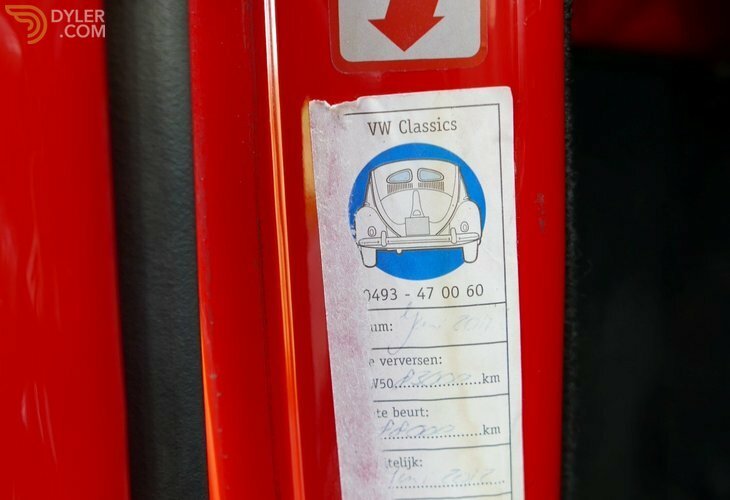 The brand name Volkswagen also does wonders with these oldies.